I received a complimentary level of Math-U-See in exchange for an honest review. All opinions are my own. Please read my disclaimer in the footer for more information. I grew up hating math. See, I was always the kid who was really great at writing, reading and english but not so great at math and science. I quickly categorized myself as a right-brainer and conceded to the fact that I would never be good at math. I therefore set the scene of my academic career – excelling in language arts and learning just enough math to pass a test. To be honest, this didn’t seem to disrupt life too much until recently. See, as a writer, I just avoided math like the plague in college, taking only what was required. As a waitress, I figured out enough math to decide if someone had left me a good tip or not and as a domestic engineer, I’ve learned how to double recipes. This seemed to be enough until I decided to homeschool my kids. My kids are little, so I wasn’t too scared at first – but I quickly realized that the older they got, the more my lack of math knowledge would show. I knew I wanted a mastery program to ensure the boys would fully understand what they learned. I know growing up this was a huge factor in my dislike for math – math facts build on each other and if you don’t understand a concept, you can never develop it further. I feel like somewhere very early on, that happened and I just never recovered from it. I also knew I wanted something tactile, working with manipulatives, because our boys are very hands-on. Secretly though, what I really wanted was for someone else to teach my kids math. Enter Math-U-See and an answered prayer. 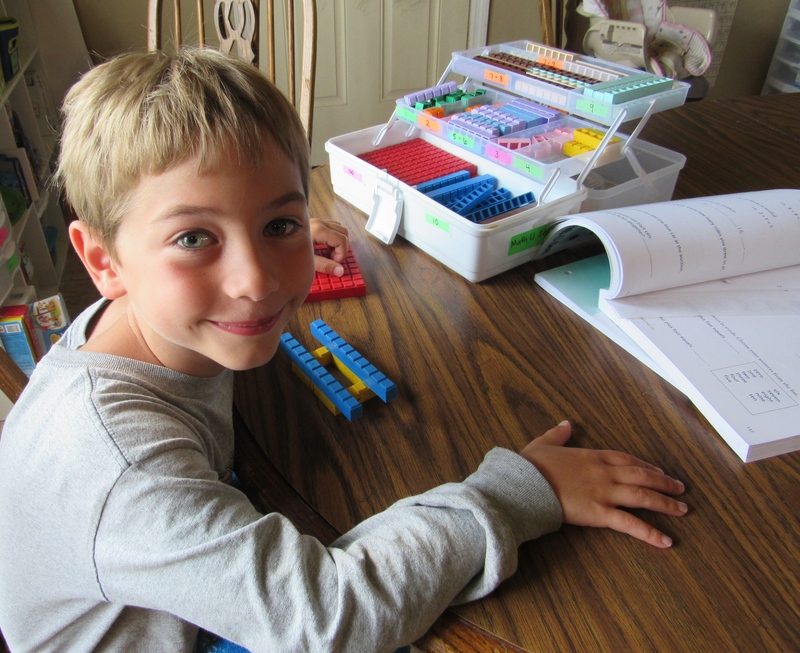 When I found Math-U-See– a mastery-based, multi-sensory program that helps the kids to work at their own pace – I was more than excited to review it. So, what makes Math-U-See unique? 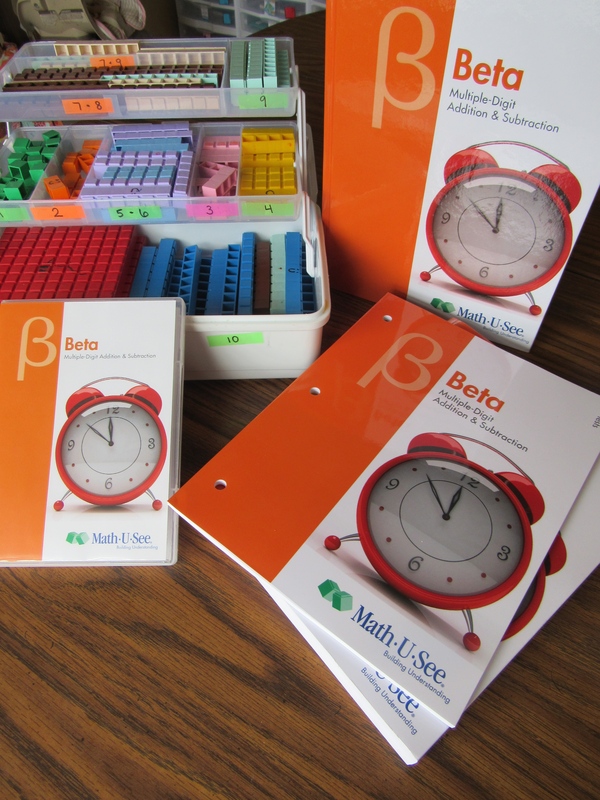 Math-U-See is designed to teach students specific skills that build as the student progresses. This systematic and cumulative approach uses a definite, logical sequence of concept instruction. The Math-U-See system is structured with step-by-step procedures for introducing, reviewing, practicing, and mastering concepts. Each lesson teaches using multi-sensory tools such as videos, manipulatives, and other resources, designed to appeal to any type of learner. Because we homeschool, that is the view I write this from. That being said, Math-U-See is also is also great for co-op (see their online co-op) and tutoring. When our twins were diagnosed with autism, we knew that would become the lens we saw things through when making choices for them – especially academic choices. We knew, like with any child, we needed to play to their strengths in looking for curriculum. One of the quickest things I began to understand about the way they learn is that they do better without any fluff – let’s just get right to the point. This curriculum could easily be called “Math-4-Rinnagades.” This is not your traditional math program. How excited are the boys to build during math? They have spent almost an equal time playing with the bricks in their “off time” as they have doing the work. Although this is not specifically for special needs (anyone can use it), I have not seen a better math program for kids with autism. We’ve completed the Primer and Alpha levels and are excited to begin Beta later this year. The Primer is the first book of the complete K-12 curriculum. This book is intended for Kindergarten or earlier, but do not get hung up on grade levels. The Primer goes over very general math skills including counting, place value, reading and writing and recognizing numbers, addition, time and more. The children are also introduced to the manipulative block system. Included with the teacher’s manual is a DVD. The creator of the program, Steve, (We’d call him Mr. Demme to his face, but at home the boys love to watch “Steve!”) teaches an introduction to the lesson. The boys can watch it as many times as they need to understand the concept. Of course, I watch it along with them so I can help explain (and actually learn math for myself!). I love this, especially in anticipation of the more difficult years ahead. This screams Charlotte Mason but know that no matter what homeschool style you follow, Math-U-See is for you. If the boys seem to be flying through the material, it is easy to “test out” onto the next lesson instead of enduring repetition that is unnecessary. If the new lesson is easy for them, they can just skip ahead to the review. This surely is where the curriculum gets its name because it is literally math you can see. This is the opposite of spiral, which most of us are familiar with from traditional school. In the mastery program, your child works on a topic until it is mastered before moving on. I know secondary math is a long way off for us, but I was beyond impressed that they took the time to make this a course all to itself. This alone will ensure we stick with the curriculum long term :). Well, I’ve got some good news and some even better news. The good news, is Math-U-See makes it really easy to figure out how to place your student and get started with your materials. The even better news is that they want to give away an entire level to one of my lucky readers. Told you it was even better news ;). The initial assessment is the first step in documenting a student’s academic performance. This ensures that you place your child in the appropriate entry level and helps you identify holes in his past understanding. Once your child is placed, you can determine which materials you need for instruction. Then read over the Four-Step Approach to understand how to get the most from the Math-U-See program. Have you ever heard of Math-U-See? What do you look for in a math curriculum? Glad it was helpful, Ashley. Thanks for stopping by! It’s a great program and best to buy it right from http://www.mathusee.com, in my experience. Sometimes homeschool resale groups might have the manipulatives for sale. Heard about this program at a homeschool store and though this might be up my son’s ally. Been researching it due the store not carrying the product. I would pick the 7th grade level. This looks awesome. I love the testing out. I am still trying to decide if I would start with something at my middle child’s age or my older child. My youngest is too little for any yet!!! I’ve been thinking about giving Math-U-See a try. Thanks for the great comprehensive review! This is very helpful! Looks like we are ready for Gamma! This is fantastic! We are starting different levels of Math u See this year. I am excited as this will be our first year using this highly recommended program. Of the two levels i am looking into getting right now i am in need of Primer and Beta. I currently have in our pocket to use. but with a third child coming up i am looking at going ahead to get my library started from the beginning! We love Math U See. I have used it for 4 years with all three of my girls. Good to hear, Tami. Thanks for stopping by! You’ll love MUS :). You’re welcome, Brook. Thanks for stopping by! Shelly that gives me hope that I might like math one day, too! Thanks for stopping by. Thanks, Kristen and thanks for stopping by! What a great review! Thanks for the chance at the giveaway. I’d choose Beta! We’ve used MUS since the beginning….I’m not a “math person” either! I clepped out of it so I wouldn’t have to take any in college! But this program works and now even I enjoy math! (We need the geometry book next). I have a hs and middle schooler and we plan to use MUS all the way through! Thank You so much for your informative review of Math-u-see!!! We love Math-U-See!!! It has helped my kids tremendously in math. We have used the Primer and Alpha levels. I would love to get the Beta level next. I’ve been looking at Math-U-See but haven’t taken the plunge yet. I don’t handle change well. haha We would be using Delta if I decide to go for it! I am so excited to start Math U See this year with my first grader! I have yet to order the Alpha set but am looking to do so this next month! We just started with Math-U-See and are halfway through Alpha. I’d love to win to get the next level for my kids! We’re ready to jump into gamma! I’d love to win the Beta set for my daughter. I would love to use this curriculum for my daughter who struggles with math. Beta is the level she would use. I would definitely chose Prime!! Awesome set!! Oops! Forgot to say which level–epsilon. its a hard decision, but I’d probably choose Alpha. Your review made me feel even more confident in my choice. Thanks! I would LOVE to have the Beta! It’s next on our list! We would love primer! Thanks!! I would choose epsilon as my daughter will be starting that next year. LOVE MUS!!!! We love Math U See at my house! I need Alpha for my new first grader next year and Beta for my second grader! We’ve used mathusee for four years now and really like it. Would love primer level because it looks like it would be good for both special needs and non special needs kids. Thanks! 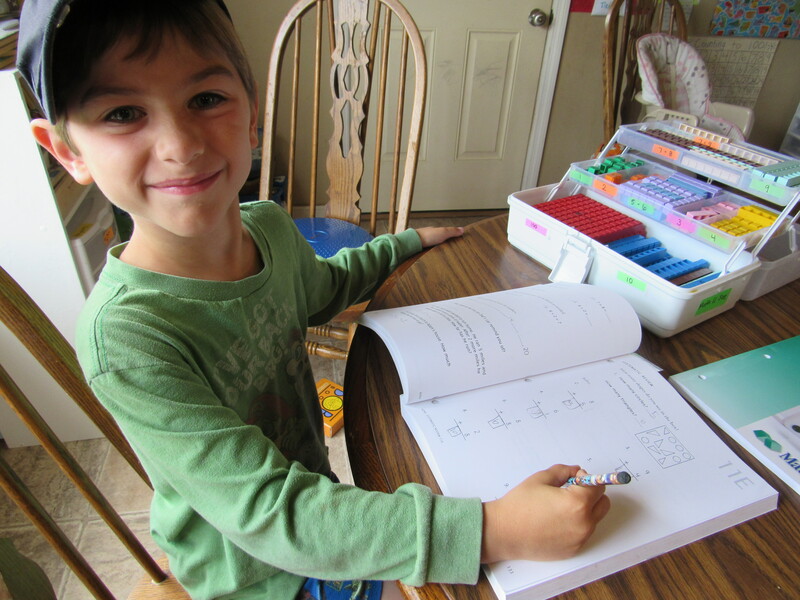 We love Math-U-See too and have experienced great success with it. Our next level will be Gamma. What a great give-a-way and great review. I love math u see! What a fantastic giveaway. I would definitely love an alpha set for my younger sons. My older kids didn’t start until beta, unfortunately. Yvie, the new assessment tool on MUS is really great; be sure to check it out before deciding. Brandy, we’ve found it to be a great fit with our boys! I’d love to be of any help when you get started! Thanks for stopping by, Lina, here’s a link to MUS’s explanation of cc alignment by grade: http://mathusee.com/schools/teacher-resources/state-standards-information/ccss-correlation-information/. I will tell you this; I have done public school first grade math as well as Math-U-See Alpha while they may achieve the same goals, they are night and day in presentation :). It’s a great way to introduce math! Thanks for stopping by, Kris! We are about to begin Algebra, and would love to win! I would love this. My child will be in kindergarten in the fall and it just sounds like a great fit. We’ve gone through Delta and need Epsilon next! Heard many great reviews even though they are common core aligned. Would give it a try if I got it!! I plan on using math u see this fall for homeschooling. This will be my first full year of homeschooling and love this curriculum for my son who has autism. My son is just about to finish up Beta. This is the first math book that we were able to finish in a school year with success. He is almost 10 and finally getting it. We use Math U See and highly recommend it. My oldest child’s next level is Epsilon. It would be wonderful to win it! Love math U see. I have some older items. We are still in primer with both our pre K kids. Probably somewhere in the Gamma region…not sure yet. I would definitely start with primer! I would choose first grade level because that’s what grade my daughter is going into! I have been looking at making the switch to Math-U-See. I also have a special needs child. Finding the right math curriculum has been tough. I hope we win the giveaway! I’ve been looking at this to use with my little girls. I’d pick Alpha. I’d choose Delta or Zeta. But I need Beta too. I’m a homeschool mom to 3 boys, 1 girl. I’m new to Math-u-see and have been researching Charlotte Mason approach so it’s funny you should mention that in this post! If I were to win I would love to have with Alpha or Beta, my oldest is 8, technically going into 3rd grade, and my second son is 6, going into 1st grade. I’d love to be able to provide one of them with this!! I checked out Math-U-See at the CHEF convention in Gardendale, AL last week. We’re very excited about using it as well as Spelling-U-See! How wonderful it would be to have the Pre-Algebra curriculum. 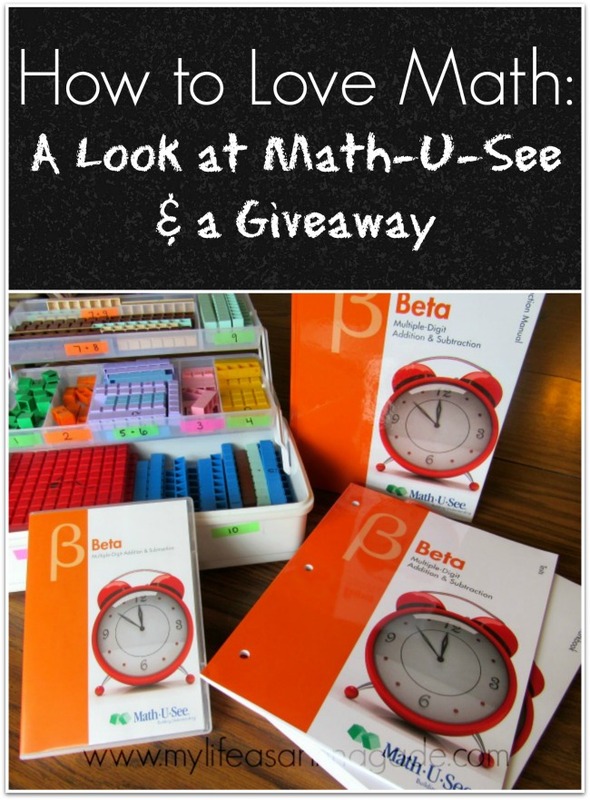 We’ve used Math-U-See for several years now and we love it. We need Algebra II next. Awesome review, I’ve heard of this and always wanted to learn more! We start homeschool kindergarten in the fall, fingers crossed for winning a free year!